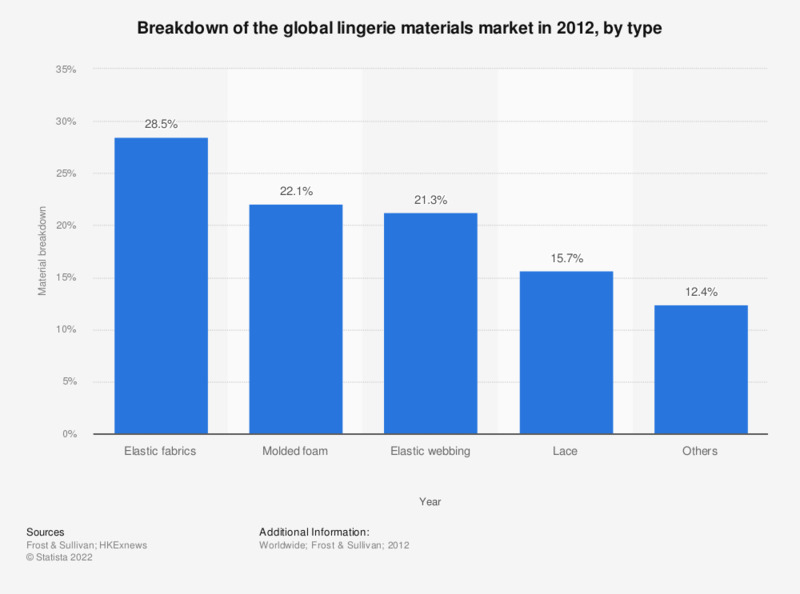 This statistic shows the global lingerie materials market in 2012, broken down by type. In that year, 15.7 percent of the lingerie materials market global revenue was generated by the selling of lace products. In that year, the global lingerie materials market total sales revenue was 7.5 billion U.S. dollars.